Every iPhone user knows that no Lightning cable last forever and has to be replaced. Reasons can be many like wear and tear damage or just losing the Lightning cable. So if you’re in the market for a new iPhone, iPod or even iPad, be cautious as there are many fake Apple Lightning cables. A fake Apple Lightning cable is a replica of the Apple’s OEM Lightning to USB cable. If you use one these fake cables, your device may be at harm. 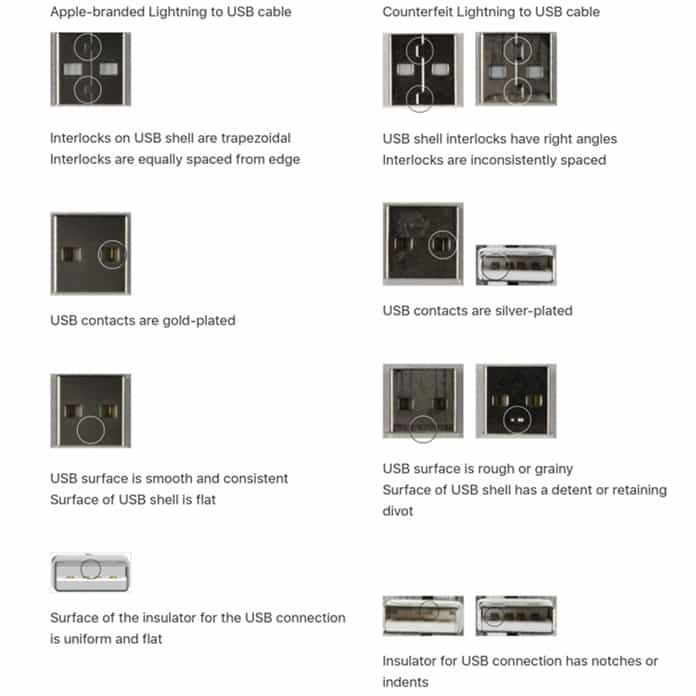 So we have compiled differently from which you can identify fake vs original Apple Lightning cable. If you are purchasing a new Lightning cable, we always suggest buying a branded, by Apple, USB to Lightning cable. Even few genuine third-party Lightning cable can be unsafe for your iOS device. But, having a fake Apple Lightning cable is definitely not the right way to charge or even sync your iOS device. Higher chance of catching electrical fire. Lower Quality Standards, cable have more wear and tear. Made of poor quality and the charging faceplate could break while inside the device. Unable to sync your device with MAC or PC. iTunes might not recognize the USB cable. 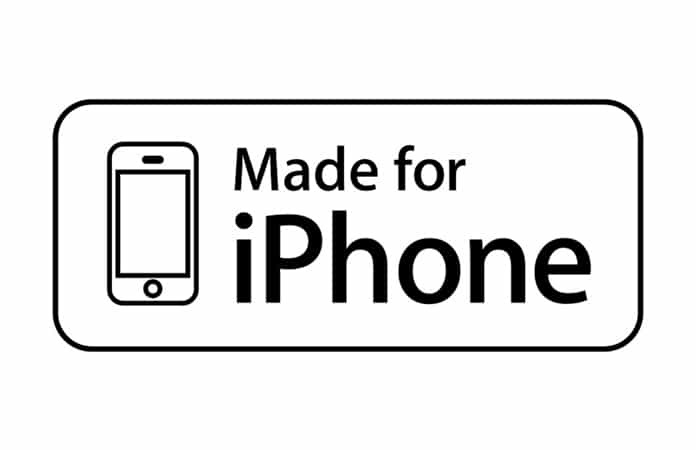 As we all know that you can buy a certified, MFi—Made for iPhone, Apple Lightning cable from a third-party vendor. Few of these third-party vendors will straight out lie to you and will claim that it is not a fake Apple Lightning cable. Moreover, they will go a step further by printing the certified logo on the packaging. Here is how you can find that whether your Lightning cable is a genuine-certified or a fake? Apple has mentioned many ways to figure out the difference between the real and fake Lightning cable. The first step is to check the packaging of the Lightning cable. The fake Apple Lightning cables are slim and white, like the OEM version. You can find them all over the sites like Amazon and eBay, it can be difficult for an untrained eye to find the difference. Apple is known for design, even, when it comes to the packaging for their iOS device and accessories. So, whenever you will come across a deal for $20 for 5 cables, you are just buying counterfeits. But, if the cable is made by Apple and official third-party vendor the Lightning cable will have the MFi logo on the packaging. Don’t rely on the packaging only, as mentioned before, other vendors may also use this logo in-order to deceit consumers. So, to be sure, examine the cable with your eyes and look with caution. Come after will be the 12-digit serial number. Note: The text is usually placed on the rubber wire 7-inches from the end of the USB cable. 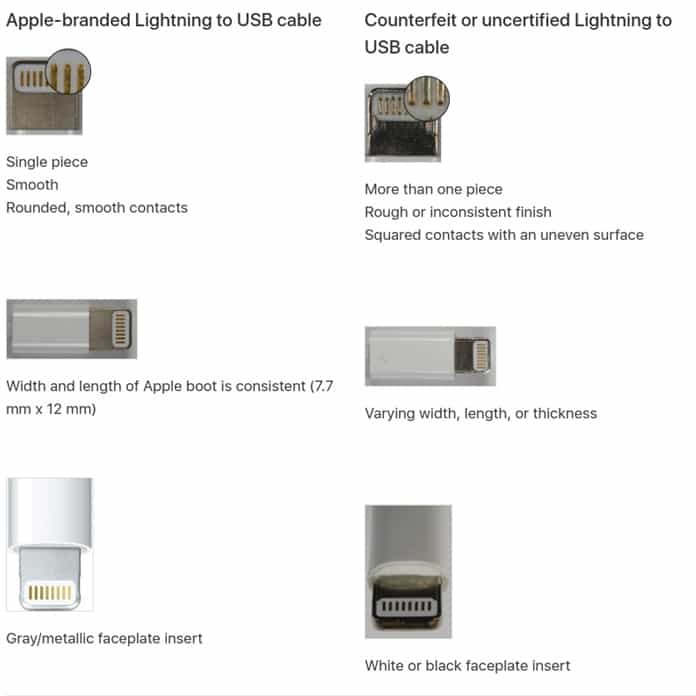 Furthermore, Apple mentions that the genuine third-party Lightning cable would usually have the company’s brand etched or printed at the end of the Lightning cable. Apple Lightning connector is a single-piece design with a smooth finish. 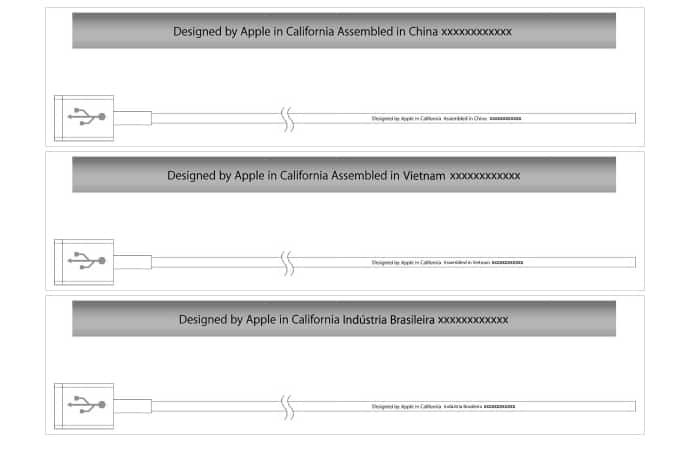 Apple Lightning connector’s contacts will be rounded. Make sure that the white plastic boot’s width is consistent. Faceplate insert will be grey or metallic. USB shell interlocks will have a trapezoidal shape. Look for the USB shell interlocks spaced evenly. USB contacts will be gold-plated. Make sure that the USB shell is not rough rather it is smooth and flat. Do not use cables which has indentation or divots on the USB shell. You can spot a fake Apple Lightning cable if you check the cable for aforementioned ways. Just remember, Apple’s Lightning cable will always be made with the high-quality materials and will have a premium look. Whereas, a counterfeit will be made from a cheap and poor quality material. And, again a 5 for $20 deals is too good to be true. 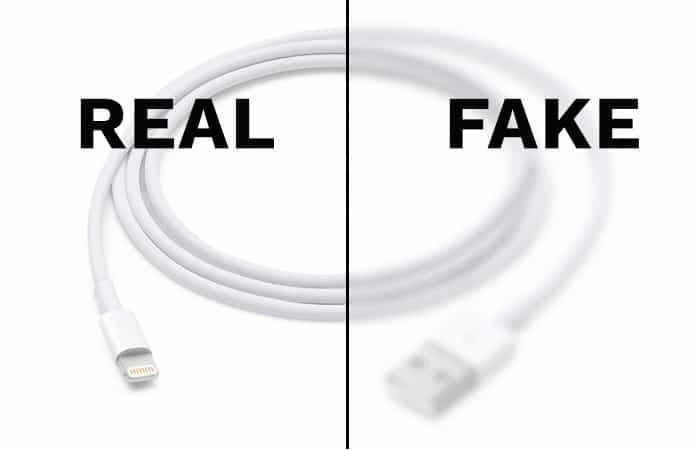 Let us know in the comments have you ever purchased a fake Apple Lightning cable? Are you still using it, what is your experience with it?